The Easy Camp Footprint Ground Sheets are all made to measure and offer extra protection from abrasion as well as damage, they also help insulate your tent and feet from the cold ground beneath you. The footprint groundsheets should be entirely covered by the tent to prevent rain from being channelled under the floor. 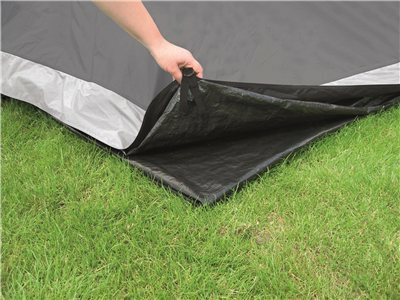 Another feature with a footprint groundsheet is when you come to pack your tent away - the underneath of your tent will be completely dry and dirt free, this ensures a longer life tent and stops any chance of mould or fungus growing. Most Easy Camp Tents have footprint groundsheets available and are a fantastic accessory to add to your camping trip.